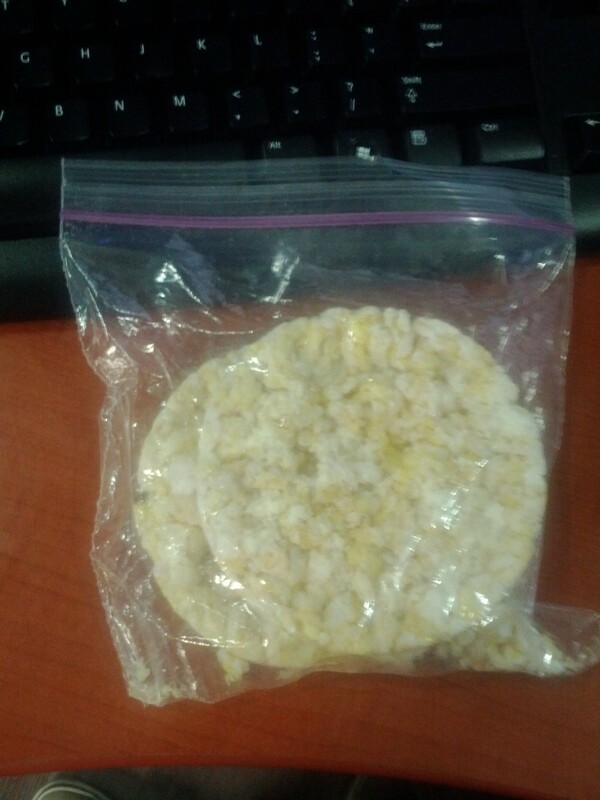 I am certain that I have found the most boring way to consume 45 calories – by eating one White Cheddar Rice Cake. 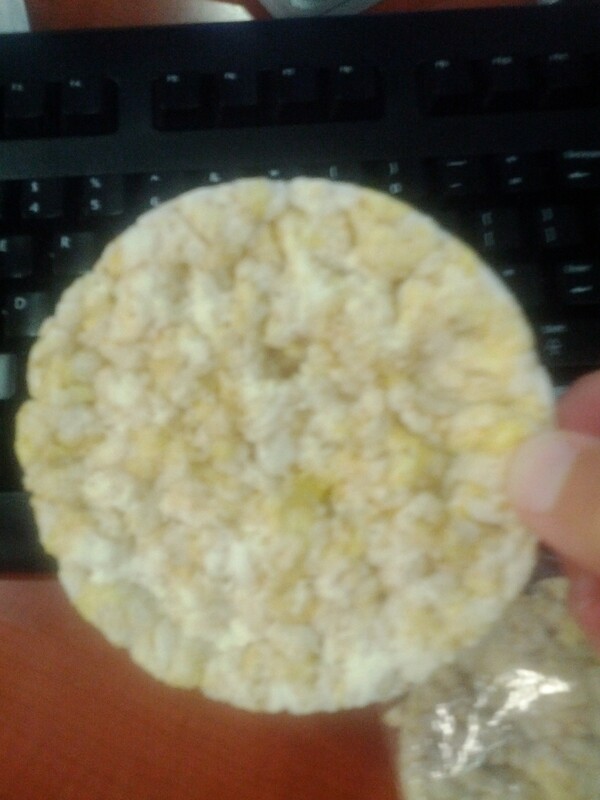 Yes, the rice cake may only contain 45 calories, but jeez, eating one is just so darn boring. My relationship with rice cakes is certainly a long one and in all of my years eating them, I have always felt the same. Why even bother? Boring. I started eating rice cakes many, many years ago for the pure fact that they only contained 45 calories. I saw these as an easy and simple way to eat a minimal amount of calories for a snack. Anyone who eats rice cakes thinks exactly the same thing – and don’t try to tell me otherwise because I do not believe you. I ate rice cakes for many years and then pretty much stopped. Now, I only find that I purchase them every so often. Sometimes I think they sound good or sometimes they are on sale and I just need an afternoon snack to purchase. This past week at the store, I purchased some rice cakes and have been eating them as part 2 of my afternoon snack (celery being part 1). I opted for the Quaker White Cheddar Rice Cakes and bring two every day. I can say that I really love the consistency of the rice cakes. I love how they are crispy and crunch at the same time. Every bite has the same consistency which really makes it for me. It’s almost like you can taste the pumped in air in the rice cakes which gives it this consistency. It is certainly a good snack if you are looking to hit that. The flavor of the rice cakes isn’t anything fantastic. You can see the powdery coating on one side of the rice cake but, this powdery substance does not really have too much of a flavor. On some bites, you can get a hint of white cheddar but, on most, I really just taste a rice/corn flavor. This is not a bad thing because if the flavor was too pseudo-cheddar, it would just be plain gross. 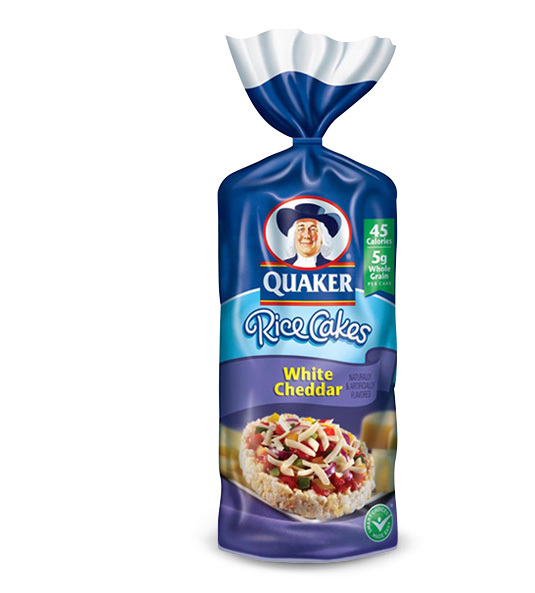 Quaker does manage to make every single rice cake taste exactly the same. Every single one has the partial flavor and the great consistency. I give them props for that. Each rice cake also is the same size. I really like when companies are able to do this. I know exactly what I am going to get as I shell out my $2 for a pack of 12. Plus, it is more than enough to get me through the long, grueling work week. Even with the nice, crispy consistency, these rice cakes are just plain boring. Every single bite is boring. Every single second spent chewing the rice cakes and consuming the rice cakes is just so darn boring. I’ve eaten bland food before and had more fun than I have with these rice cakes. But, at the end of the day, I’ve only consumed a measly 90 calories after eating my two which leaves me with plenty of leftovers for my food binges. If you are looking to be bored out of your mind while eating, go to the store and buy some Quaker White Cheddar Rice Cakes. I guarantee you will agree that they are the Most Boring Way to Consume 45 Calories. It’s amazing how these food manufacturers are able to sell us food that we don’t really need.